Craig has been a Florida resident for more than 40 years. Craig received his undergrad degree from Florida Atlantic University in Boca Raton. He holds the Chartered Life Underwriter® (CLU®) and Chartered Financial Consultant® (ChFC®) certifications from The American College in Bryn Mawr, Pennsylvania. In addition, Craig has received the Accredited Investment Fiduciary Analyst® (AIFA®) designation from the Center for Fiduciary Studies and the University of Pittsburgh’s Joseph M. Katz Graduate School of Business. Craig is also a Certified Divorce Financial Analyst ® from The Institute for Divorce Financial Analyst. Craig also has completed the dividend analyst course from Morningstar, Inc.
Craig affiliated with and became a registered representative and Investment Adviser Representative of Commonwealth Financial Network®, an independent, privately held broker/dealer that has no proprietary products and an open architecture for advisors to build their businesses. Richman Capital Management is now celebrating its 22st year of working with Commonwealth Financial Network. Craig served the community as board member and past chairman of the Florida Atlantic University’s (FAU) National Alumni Association. 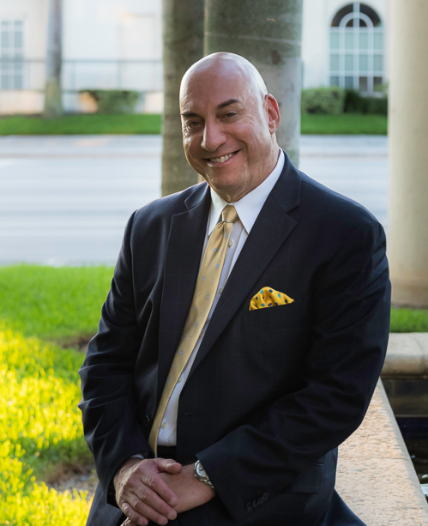 He also served as past president of the Rotary Club of Boca Raton and is currently a trustee member of the Greater Boca Raton Chamber of Commerce. Craig is an avid golfer and former yoga teacher. He is an active member of Boca Pointe Country Club in Boca Raton, FL. Craig has been married to Janice, a registered radiographer and Pilates teacher, for 26 years. They have two wonderful children: Jessica, who is a physician specializing in occupational medicine; and Race, who is pursuing a career as a physical therapist (PT). Craig Richman is proud to have been recognized as a Business Experience advisor for 2018—a distinction based on annual production that places him among the top 47 percent of advisors affiliated with Commonwealth Financial Network.